Are you living with recurring headaches or migraines? Make it your New Year’s Resolution to take the headache out of 2019. This month, Apex Headache Clinic Founder and Spinal & Headache Physiotherapy Specialist, Rebecca Nelson shares her expert advice on a headache-free 2019. January sparks the start of a brand new year, but for some, the thought of another year plagued with headaches or migraines is devastating. At Apex Headache Clinic, for years, patients have been travelling from all over the UK and Ireland to avail of our specialist treatment, so we witness on a daily basis just how devastating the effects can be on lives, leaving sufferers desperate to find some relief. Most people attribute tension or stress as the cause of their headaches, and so they reach for painkillers, which offer no long term relief. 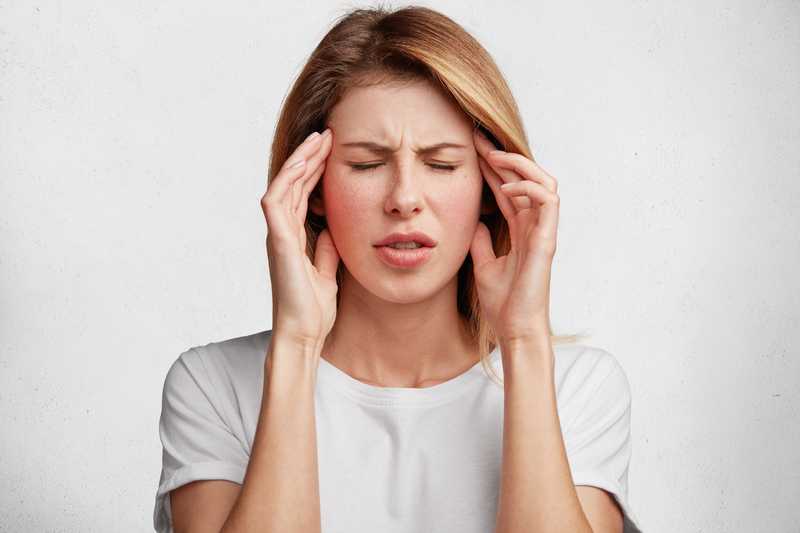 However, often there is actually a physical cause for their headaches or migraines and so without treating the source, their headaches will persist, in many cases, for years. Many people are unaware that headaches and migraines can be triggered from the upper neck region of the spine, even when the person doesn’t experience any neck pain. The upper neck area of the spine could have been overloaded or injured by poor posture from hours spent hunched over desks, from repeated heavy lifting, or a previous accident. At Apex Headache Clinic, we adopt a very clear stance when it comes to pain: The cure for pain isn’t painkillers. We firmly believe in tackling pain at its source. Getting to the actual problem will reduce the need for pain medication, which only ever masks the pain, often with terrible side effects. Here at Apex Headache Clinic, our team of specially trained phyios have been successfully treating headache and migraines sufferers for years. We are very proud of our high success rate in curing persistent, longstanding migraines and headaches, using The Nelson Headache Approach™. This is my own unique regime of manual physiotherapy treatment to the neck region of the spine. At Apex Headache Clinic, our specialist physiotherapists have all been extensively trained in this regime and no other clinic offers it in Northern Ireland. We use this technique to help sufferers of all ages, including children, teenagers, business people, working mums and the elderly. “All I’ve even known is life with headaches. I’m told that at the age of 6 months, I began suffering from them. In a way, I became used to having migraines. Because I developed them when I was so young, I didn’t know any different. However, it was still horrendous. When a migraine struck, I would curl up on the sofa for hours, waiting for the pain to ease. I just wanted to be left alone. Painkillers gave me no relief at all. We live in Cavan and all I can say is that it was definitely worth the two-and-a-half-hour drive! My Granny recently commented that I’m a lot more confident and care-free now, which I guess comes from not worrying about how a migraine could ruin my day. In a nutshell, Apex Headache Clinic really has changed my life.” – Cian Smith, aged 11 years. If you suffer from persistent headaches or migraines, help is at hand. Book an initial assessment and treatment today at Apex Headache Clinic and allow our specialist physiotherapists to restore the quality of your life by clearing your headaches. To book an appointment, call Apex Headache Clinic on: 028 9048 4153. No GP referral is necessary.